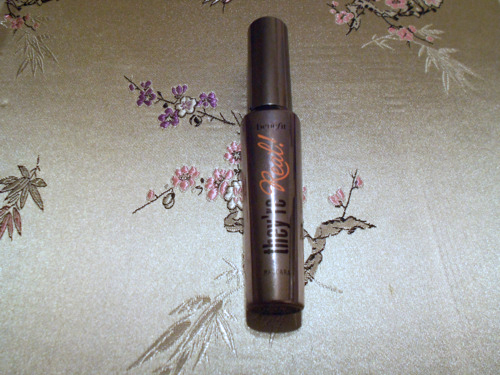 There has been a lot of hype around this mascara, even by Benefit themselves. When a brand promotes a new product so much and claims it does so much I’m always a little bit sceptical because I never think it will live up to it’s expectation. 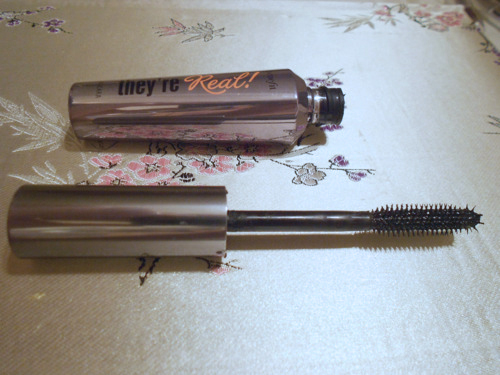 From my experience with Benefit mascaras, I’ve never really been a fan. I’ve always found their mascaras to be too drying and give off a clumpy application. I was really curious to find out what was so special about Benefit’s They’re Real Mascara and after countless review reading I decided to get it. After spotting it going for slightly cheaper on Buyapowa, this definitely gave me a push to go ahead and purchase! This mascara is definitely worth the hype in my opinion! It’s completely different to any other benefit mascara and coats each lash evenly and achieves long pretty lashes. I’d consider myself to be a bit of a mascara fanatic (currently have 19 mascaras in my makeup drawers.. ridiculous I know) so I would say I know what qualities I like and things I hate and this mascara definitely ticks all boxes for good qualities! One of my favourite parts of this mascara is the pointed end which means I can reach all of the inner/outer corner lashes which makes a huge difference to my lashes. I’ll definitely be repurchasing when this mascara is finished! If you want huge volumised thick lashes this may not be for you but if you’re looking for long separated evenly coated long lashes then definitely get it!